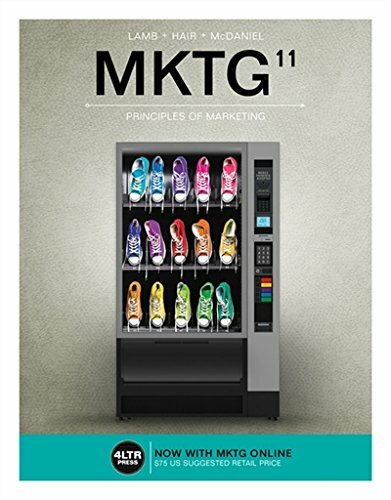 1337116807 -Through ongoing research into students’ workflows and preferences, MKTG from 4LTR Press combines an easy-reference, paperback textbook with Chapter Review Cards, and an innovative online experience – all at an affordable price. With MKTG Online, students explore MKTG anywhere, anytime, and on most devices! The intuitive StudyBits™ functionality empowers students to study more effectively and visually monitor their own progress. Coupled with straightforward course management, assessment, and analytics for instructors, MKTG with MKTG Online engages students of all generations and learning styles, and integrates seamlessly into your Principles of Marketing Course. With cutting-edge cases, engaging images, and profiles of today’s most compelling marketers, MKTG shows students how the principles of marketing are applied at the world’s top companies every day.